The adventure continues. Catch up on Day 1. New eggs stand up straight in cells, by day 3 they are lying down in a C shape. Eggs are white and you can see them against the black of the cell. (The wax goes black with age). New bees first learn and train to walk and fly around the safety of the hive before going out foraging. Bees die all over the show, they can drop dead mid-flight. 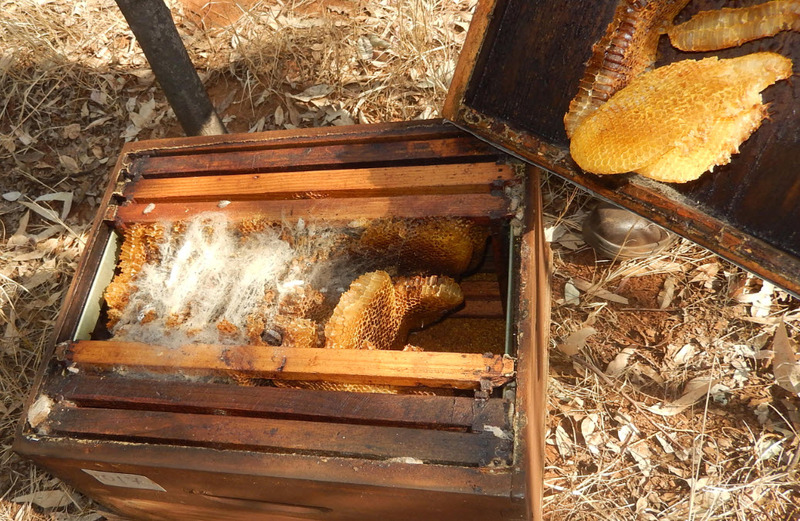 Dead bees are never left in the hive, they don’t like it and are removed immediately. Bees get mites that sit on the back of their necks. They’ve got wax glands behind their wings. Forager bees pass the pollen and nectar to other bees who go and store it. Drones are bigger, fatter and darker and live in bigger cells. They’ve got areas where they go gather, (like a batchelor herd). The queen always knows where they are. When a drone mates with a queen, it dies. Worker bees kick out the drones when winter arrives cos all they do is eat. You’ll seldom see that, all you’ll see is a bunch of dead bees around the hive. Queens kill other queens by biting them. She can sting other bees repeatedly without dying. She only stings bees, not people. You can actually smell the pheromones the queen gives off, you can also smell the honey. 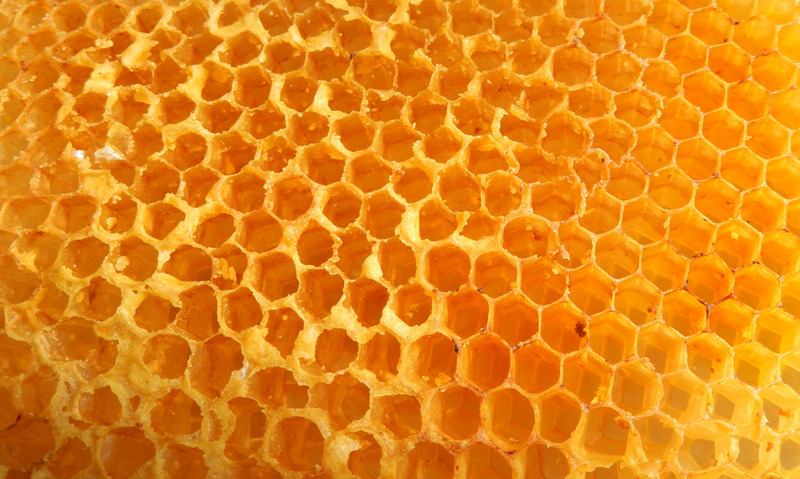 You can tell the strength of a hive by its strong smell. 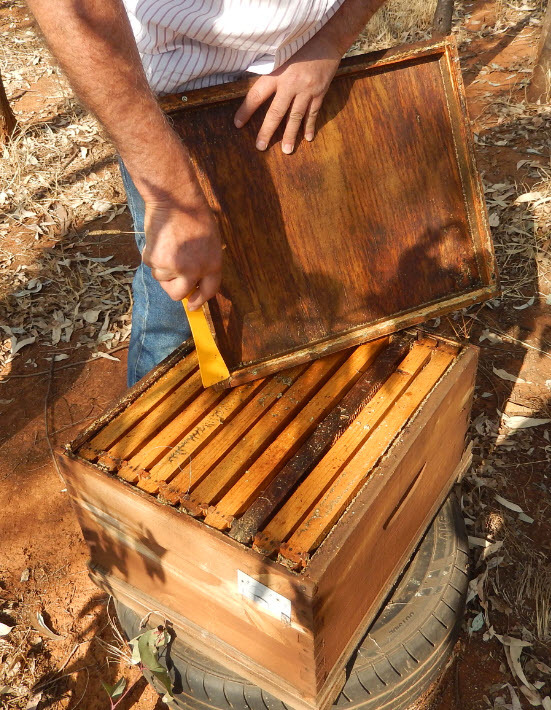 Queen excluders are trays that separate the hive to encourage honey production. It’s a controversial exercise however and can damage bee wings. The queen maintains the bee numbers at all times. A queen can live up to 3 years and gets less efficient as she ages. The queen gets fertilized once only in her lifetime. That enough for her to produce 3000 eggs a day for her whole life. Amazing! No-one is exactly sure how the hive cells are built. Are they round when built and dried into the hexagonal shape, or built in that shape. It’s a mystery. Other insects sneak into the hive. Beetles and moths are the biggest culprits. The bees build a triangular prison, herd the insect in, then glue it down and put the cap on the cell. 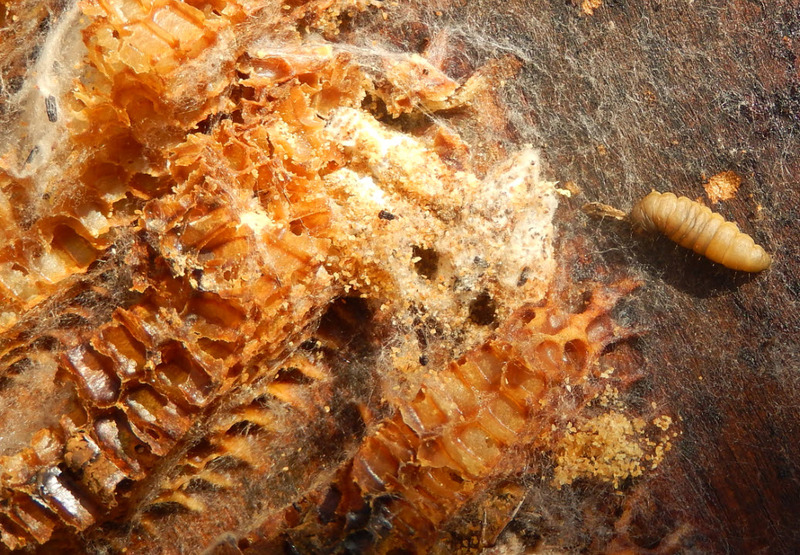 No escaping that, you can actually see stuck down insects in a hive. Snakes get in too. When that happens, the bees dislocate their wings and start flapping them. It generates serious heat and they actually cook the snake if it doesn’t leave. They do the same to the old queens. When it’s time for a new queen, the bees congregate on her and cook her. It’s called balling the queen. A new baby is fed royall jelly and a new queen is up and at it in 21 days. 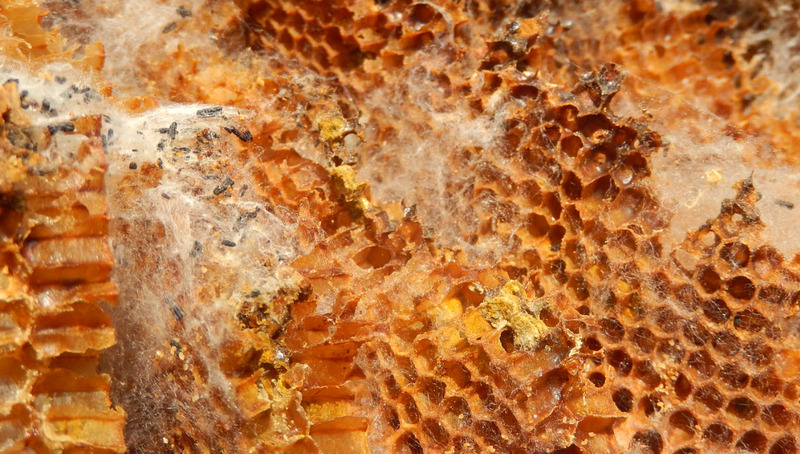 Honey is used to insulate the hive against the cold. 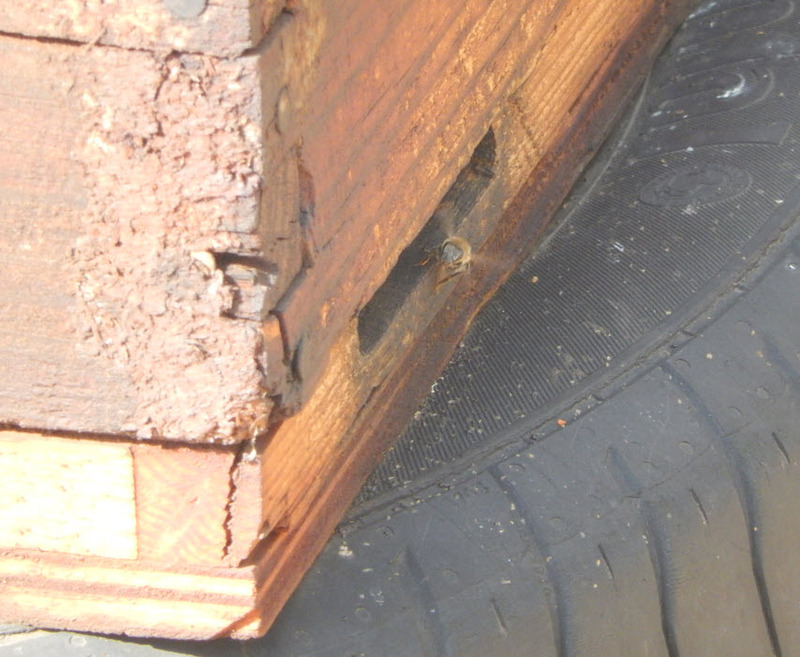 They will even close up the entrance and just leave a tiny hole for a one bee at a time in / out door. Always prep well in winter to prepare for a strong spring. Wax from hives needs to be specially processed. Wax, honey, caps, pollen, royal jelly and propolis all have magical uses, don’t abuse them! Even big men cry with bee stings. 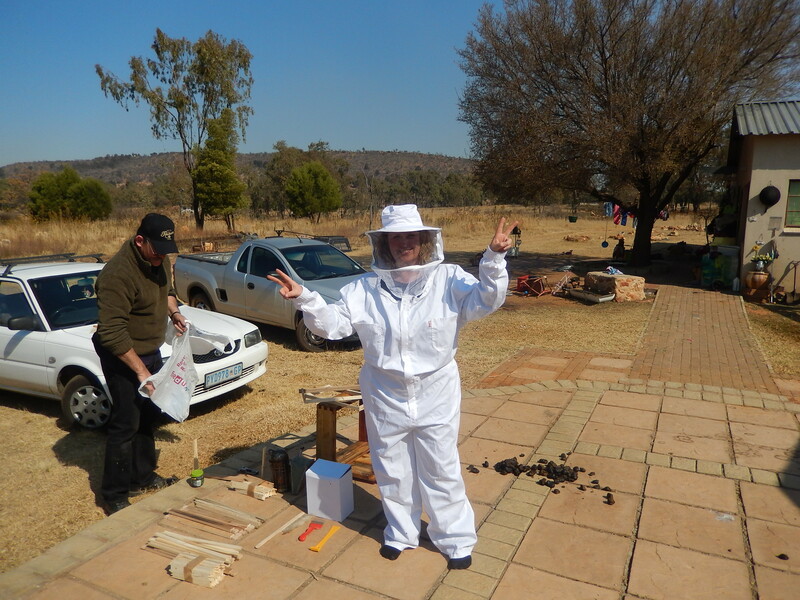 Always carry an anti-histamine with you if you do beekeeping. If a hive goes mad and gets out of control, just leave. Get in your car, suit and all and close the windows. 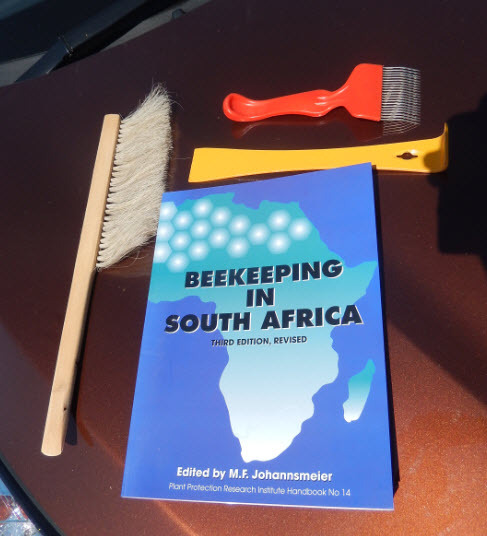 Bees get claustrophobic, they will head for the windows, then you can open them to let them out, then drive off. The noise of an entire hive flying around your head can be extremely intimidating, don’t panic! Some of the toys need to do this trade. 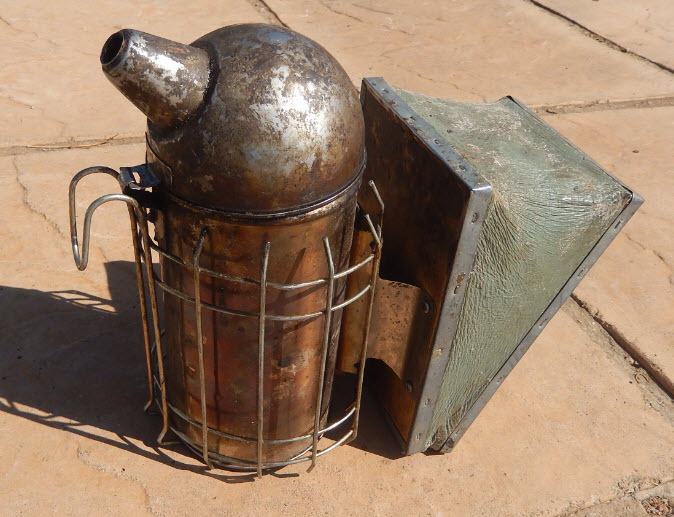 The smoker – you can’t just use anything to burn in there. Pine needles are best but they burn down very quickly. Putting boxes together. You can buy them ready made, but it’s good to know what goes into this process. 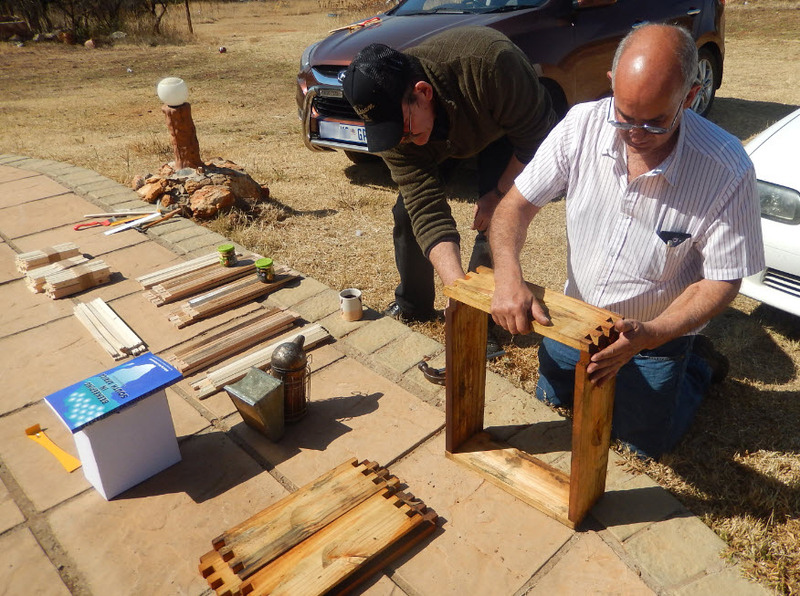 Cleaning propolis off the hive – bee glue is stronger than you can imagine! A hive wrecked by moths. 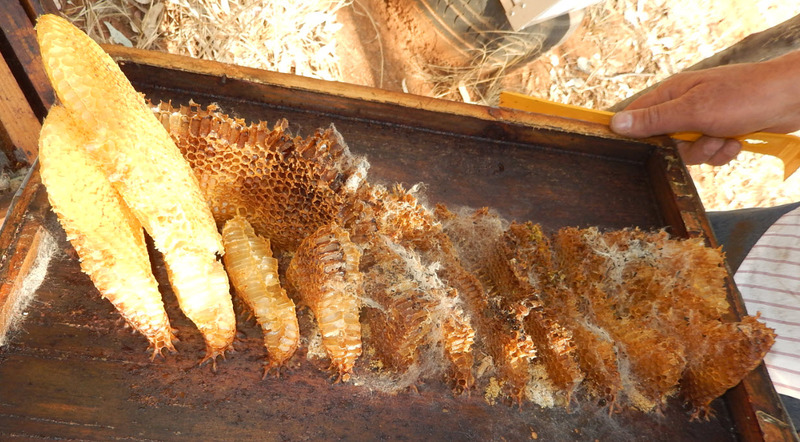 Can you imagine owning 14 000 hives worth R16m a year, and seeing this in all of them? 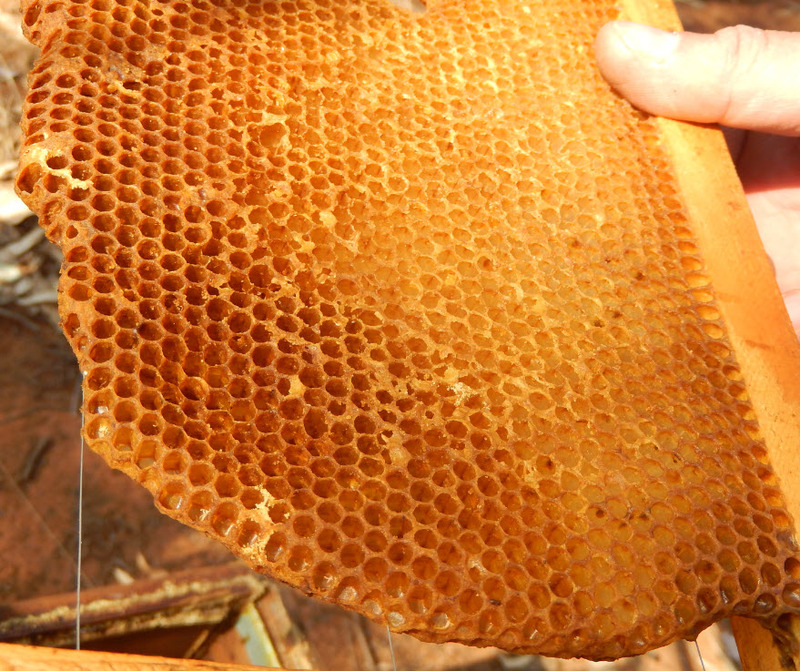 What perfect honeycomb should look like. 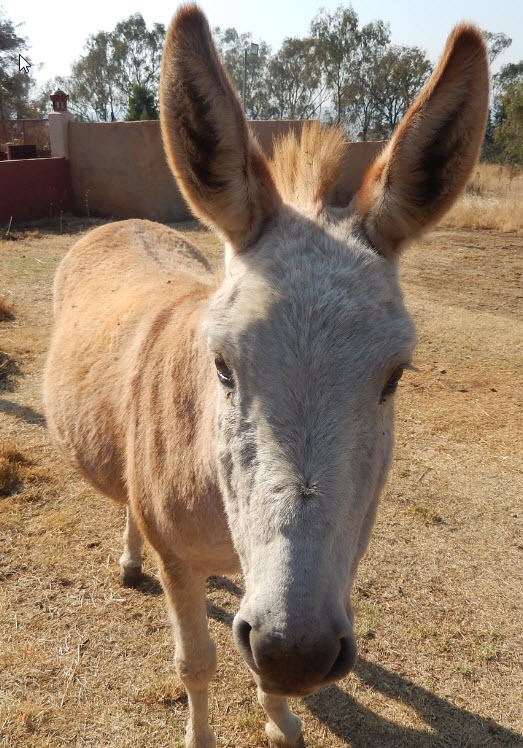 Even the donkey was following us around after getting just one apple. Everybody and everything on that farm is hungry and desperate. 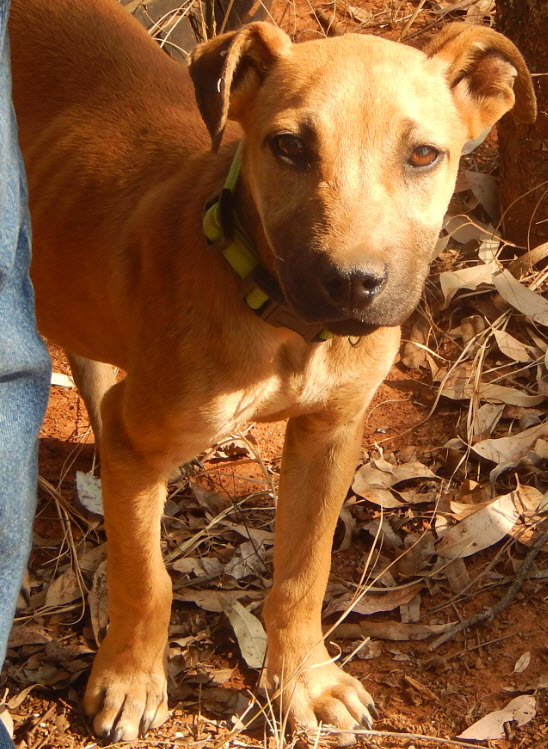 If want to help, please let me know.